Two words ring out loudly this week and for many football fans they are words of dread! The 18 letters that make up the accursed phrase 'international break' send waves of loathing and boredom through the hearts and souls of vast numbers of supporters. Stripped of their regular dose of action, fans of the country's biggest clubs think that the beautiful game goes into hibernation for a few days and are regularly heard to say they hate the period because there's 'no football on'. This is as much a sad reflection on the parlous state of the national team, which clearly inspires so little fervour, as it is a myopic view of the fans themselves. Despite the Premier League and Championship having time off, we still have over 80 games to look forward to including some international fixtures not involving England. 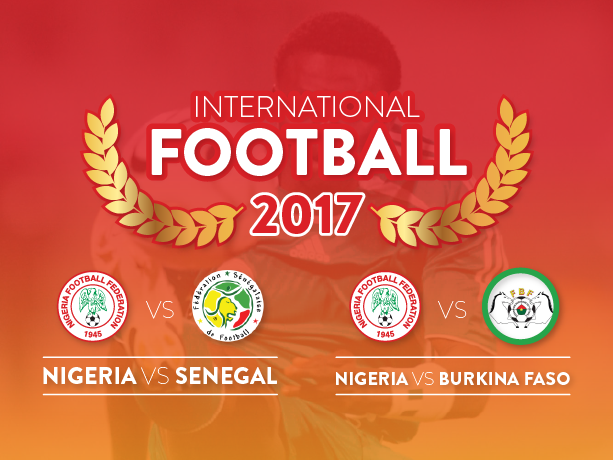 Yes you heard that right, because on Thursday and next Monday you'll be able to catch African giants Nigeria play friendlies against neighbours Senegal and Burkina Faso. All three are currently ranked in the world's top 50 and boast a number of players from the biggest leagues in the world. Both games take place at The Hive, home of Barnet, which is just a short Tube ride from Wembley on the Jubilee Line (Canons Park is the nearest station). Tickets are only £10 so it looks like pretty good value. I'm hoping to be at the Senegal game. Thanks at this point should also go to TLFG reader Steve who tipped me off that they were taking place or I may well have missed it. England's match against Lithuania at Wembley is the biggest of the week so if you're in town and were hoping to see a Premier League game then this is the best alternative. The cheapest remaining tickets appear to be £45. Aside from these games, there are some excellent non-league options. With the regular season ending in late April for many clubs, the promotion and relegation issues are starting to heat up. In other news, Saturday saw the line-up for Non-League Finals Day confirmed with Cleethorpes Town and South Shields meeting in the FA Vase final and Macclesfield Town and York City in the FA Trophy. The event is still over two months away on 21 May but tickets are on sale now - at only £25 for adults and £1 for kids, it's a great value way to spend a whole day at Wembley. Lastly this week, we are lucky once again to have a blog from 'Two Men In Search Of The Beautiful Game' who paid a visit to The Valley to watch Charlton Athletic take on Scunthorpe United. Give it a read here. Right, I think that's it from me. Don't let the international break get you down, get out there and explore another part of what the London football scene has to offer and let me know what you find. There are over 80 matches in the London area over the next week with international action at Wembley, games in the EFL, National League and several minor league and county cup competitions.